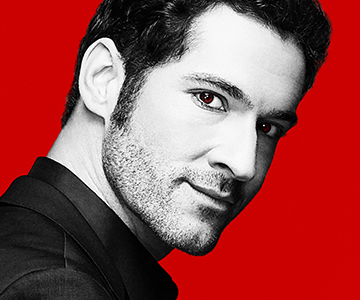 Entering its third season, the story of the original fallen angel continues, with the charming, charismatic and devilishly handsome Lord of Hell, Lucifer Morningstar (series star TOM ELLIS), helping LAPD detective Chloe Decker (series star LAUREN GERMAN) take down criminals. As Season Two came to a close, Lucifer took care of a little problem called Mom, aka Charlotte (series regular TRICIA HELFER). But now he’s facing an even greater challenge – finding out who kidnapped him, and why his angel wings are back. What’s worse is the arrival of new lieutenant Marcus Pierce (new series regular TOM WELLING), who’s everything Lucifer is not – strategic, reserved and well-respected. Unfortunately for Lucifer, he’s also handsome, charismatic and smart. And he’s caught Chloe’s eye. After a confused Lucifer wakes up in the middle of the desert with his wings back, he recruits the help of Chloe to help figure out what happened to him and why. Upon doing their own research, they come across a crime scene that could be tied to Lucifer’s kidnapping. When the Lancaster Police Department get involved, newcomer Lieutenant Marcus Pierce fails to make a great impression on everyone with his stern demeanor. The investigation goes awry when Lucifer finds himself in another compromising situation and something much darker is revealed in the Season Three premiere.